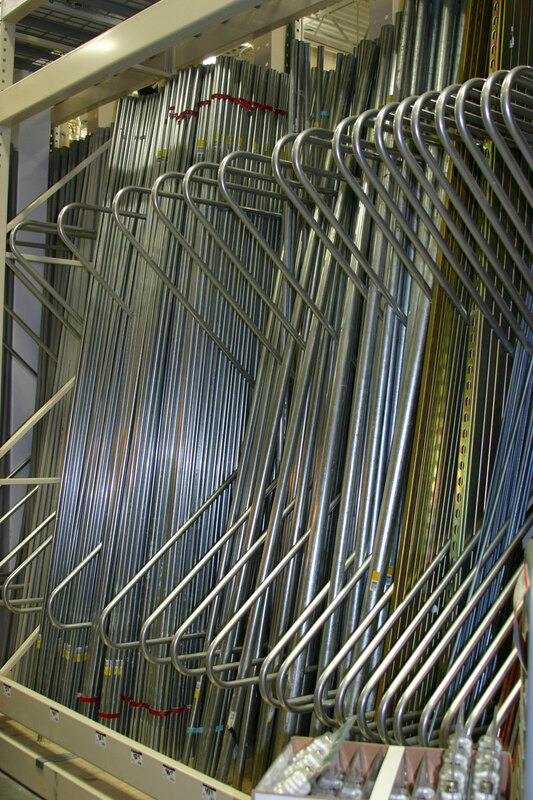 When Pallet Rack is not about pallets and odd sized merchandise needs to be stored, UNARCO retail rack accessories offer solutions to help maximize retail shelf space such as M-Dividers, Versa-Rack, Tool Holders and Dividers which are helping retailers across the U.S. safely store non-palletized items. Long-length product such as pipe, conduit or fence posts can be stored horizontally or vertically with retail accessories for pallet rack. Satisfy heavy-duty storage requirements for bulky items on pallet rack with the accessories needed to merchandise items safely while improving visibility to customers. M-Dividers of all sizes or cantilevered divider arms of any length are attached to rear beams to allow product to be stored vertically within the pallet rack system and separated by SKU. Double arm tool holders allow storage of retail products such as lawn and garden tools, hammers, brooms or virtually any item with a handle to be stored safely and can even provide metal plates to display signage. UNARCO also offers a complete versatile retail rack bay breakdown system, versa-rack, which can divide a pallet rack bay into sections for more storage of all sizes and shapes of product. Versa-Rack uses internal posts and clip-on intermediate, low-profile shelves to maximize vertical retail storage. For more information on UNARCO retail rack accessories visit Retail Accessories Options.